There are multiple banks in Canada and it's not always easy to see the differences when it comes to choosing a mortgage loan. The lenders all try to differentiate themselves in order to look as appealing as possible to consumers, but when it comes to mortgage loans, the most important characteristic usually remains the rate itself. Buying a home will likely be the biggest investment and expense in your life time, and even the smallest change in a rate can have a great impact on the total disbursement of your purchase. Because of this, it is crucial for you to obtain the best possible rate available. Below you will find the different rates offered by the main Canadian banks. They are separated into different charts depending on their nature: being either: long or short term loans, closed or open loans, and having fixed or variable rates. We invite you to start shopping for your mortgage right here by having the possibility to clearly view the different rates banks are currently offering. Once you decide the type of loan you wish to have, you can go ahead and choose the type of rate (below), and find out which bank has the lowest rate available. The following mortgage rates are verified from the companies' official web sites on a periodical basis, and is kept up to date (last reviewed on April 17, 2019). Simply click on a table column title to reorder the list by its specific term. We also display ongoing special rates. You can choose to compare standard mortgage rates only, or you can include these special rates in the table (these will appear in a different color). Keep in mind that those specials may only be available under specific conditions that may, or may not be applicable to you, so make sure you read the fine print on their respective web sites. Fixed open mortgage rates are locked in for a period of time. Their rates won't fluctuate along with the prime rate, and as an open loan, you can freely make additional payments, or even pay off the whole balance without any penalty. This type of loan is good for people who do not want the to take the risk of a rate increase, and for those expecting to receive a large income in a short time (under a year), which could then be applied on the balance. Fixed closed mortgage rates are locked in for the period of time chosen, their rates won't fluctuate along with the prime rate, and as a closed loan, you won't be able to make any additional payments or pay off the balance, unless you pay a penalty. These rates are good for people on a fixed income with a tight budget. 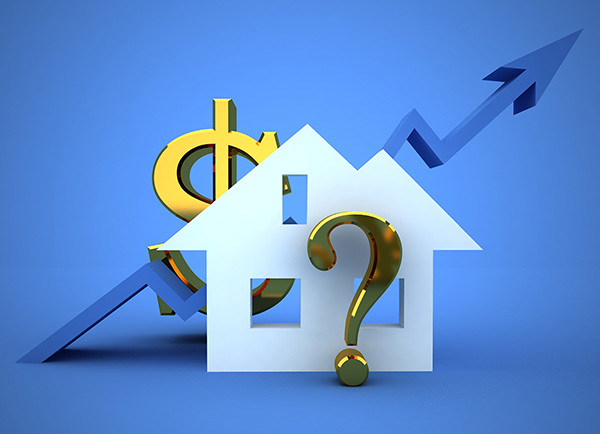 Variable open mortgage rates and lines of credit fluctuate along with the prime rate, they can decrease to your benefit or, unfortunately, increase. As an open loan, you can freely apply additional payments or even pay off the whole balance without any penalty. If you opt for a line of credit, it is a revolving credit that allows you to borrow again the payments you've already made. However, you have to make sure you pay the monthly interest and stay within your borrowing limit. The line of credit is the most flexible mortgage loan you can have. Variable closed mortgage rates fluctuate along with the prime rate, they can decrease to your benefit, or unfortunately, increase. As a closed loan, you won't be able to make any additional payments, or pay off the balance, unless you pay a penalty. This is a riskier type of loan since the rate is not guaranteed, and the loan is locked in for a specific period of time. However, the rates are normally lower. Intro to "What Is the Home Value You Could Afford?" Intro to "Estimate your Home Value Appreciation and the Profits from its Future Sale"